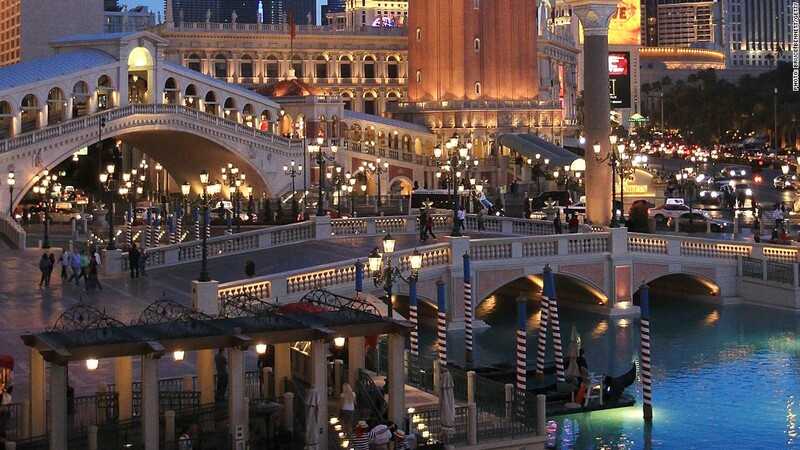 Las Vegas Sands' Venetian resort and casino. Casino operator Las Vegas Sands has agreed to give up over $47 million as part of an agreement to avoid charges over its failure to report suspicious transactions by an alleged drug kingpin. The sum represents funds accepted by Sands (LVS) on behalf of Zhenli Ye Gon, a native of China who is currently being held in the U.S. pending extradition to Mexico on drug trafficking charges, accused of importing chemicals from his native country to Mexico for methamphetamine production. Ye Gon was a high-stakes gambler who lost more than $125 million between 2004 and 2007, including over $84 million at the Sands-owned Venetian in Las Vegas. The U.S. Attorney's Office in Los Angeles said Ye Gon and his associates wired money from a number of different banks and currency exchange houses in Mexico to Sands accounts in the U.S.
Federal law requires banks and other institutions that handle money transfers to flag suspicious transactions. Prosecutors say the volume of Ye Gon's transfers and the vague sources of the funds should have raised red flags. At one point, the Justice Department says, when Sands personnel asked Ye Gon to transfer his money in large sums rather than in small increments, he responded that he "preferred to wire the money incrementally because he did not want the government to know about these transfers." "All companies, especially casinos, are now on notice that America's anti-money laundering laws apply to all people and every corporation, even if that company risks losing its most profitable customer," U.S. Attorney André Birotte Jr. said in a statement. A Sands spokesman said in a statement that "the company cooperated fully and that effort was recognized by the government." The government said the decision to enter into a non-prosecution agreement was motivated in part by Sands' extensive cooperation and "voluntary and complete disclosure of the conduct." The company has since improved its internal compliance program, the DOJ said. Sands CEO Sheldon Adelson is a major contributor to Republican politicians. He bankrolled a number of campaigns in 2012, donating an estimated $30 million to support Republican presidential nominee Mitt Romney and about $20 million to Winning Our Future, a super PAC with ties to former House speaker and presidential candidate Newt Gingrich. CNN's Kevin Bohn contributed reporting.